Can I outsource a job to more than one supplier? You can outsource a job to as many suppliers as you wish in LSP.expert. Once the job is created, you have to click on the Outsourcing tab on the left. The system displays the list of suppliers providing the service concerned. You click on the button to assign the job to one of them. 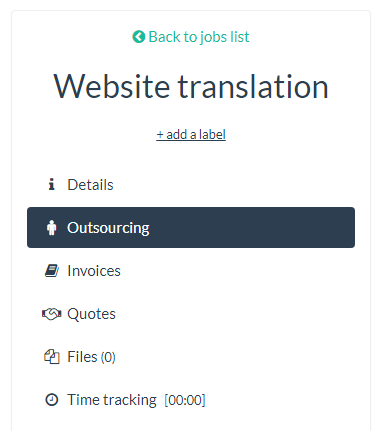 Then, once you're in the outsourcing details of the job for this supplier, you click on Edit > Job and you change the number of words (or lines or another unit) to reflect the quantity this supplier will handle. And you click on Save. When you go back in the Outsourcing tab of the job, you see your first supplier. To add another one for this job, click on "Outsource the job". Then, you simply repeat the steps mentioned above. 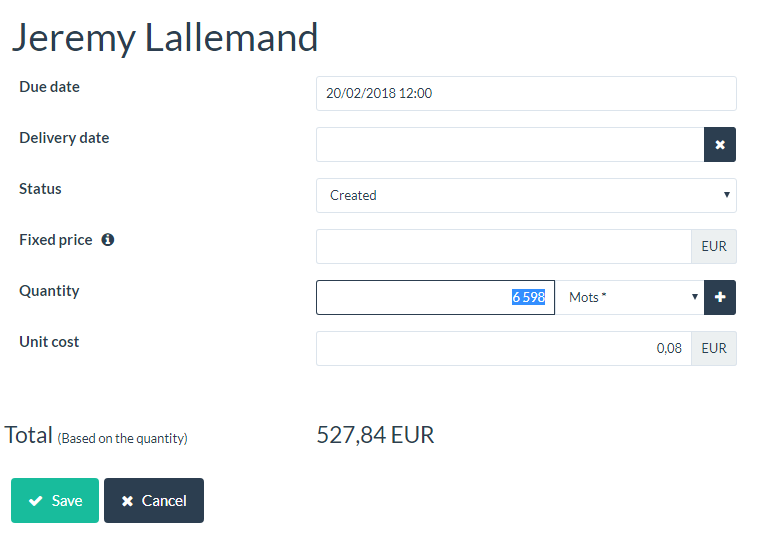 About the Quantity field, please note that the system doesn't automatically calculate the remaining quantity based on the quantity you defined for the other suppliers for this job. You have to indicate yourself how many words (or lines or hours, etc.) each supplier will handle, as the system will always mention the whole quantity again. You can add as many suppliers as you want for each job. In the list of jobs, you can see little icons on the right indicating that the job has been outsourced to suppliers. You can see the details when you hover the mouse over these icons.